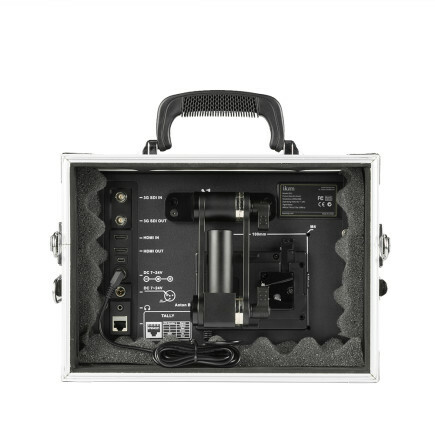 Our customer favorite, the D12, is now available in a Field Kit. 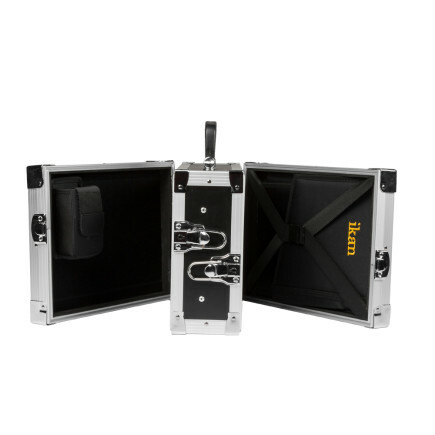 The field kit integrates a D12 into a durable hard case with a sunhood, screen protector, V-Mount battery plate, Gold Mount battery plate, and stand adapter. The kit allows for handy transport, and the aluminum stand mount allows for easy placement and viewing in the field. 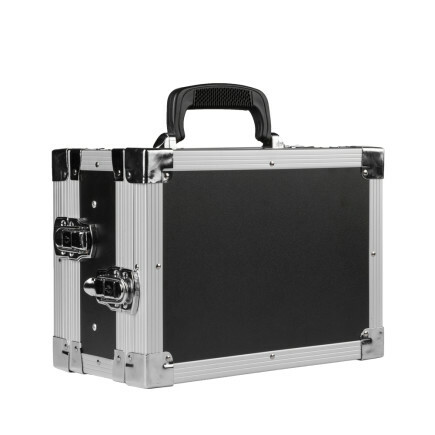 The D12 is integrated directly into the hard case. The hard case features a front door as well as a rear door for quickly accessing all the monitor's functions. The front door also holds the sunhood in place while the rear door holds the AC adapter when not in use. 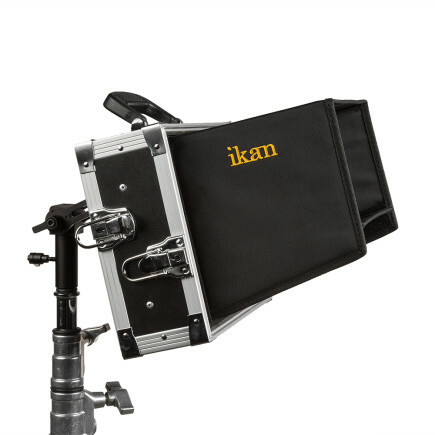 Included in the kit is an adjustable stand mount that is pre-attached to the monitor. Rosettes on the fully aluminum stand mount provide both strong support and adjustability for the monitor. Once the monitor is set at the desired angle, it can be locked into position by tightening the rosettes. The field kit includes a four-sided sunhood that folds up and stores in the front door of the case. The hood easily attaches to the monitor with magnets. A V-mount battery plate is pre-attached and ready to power your monitor. 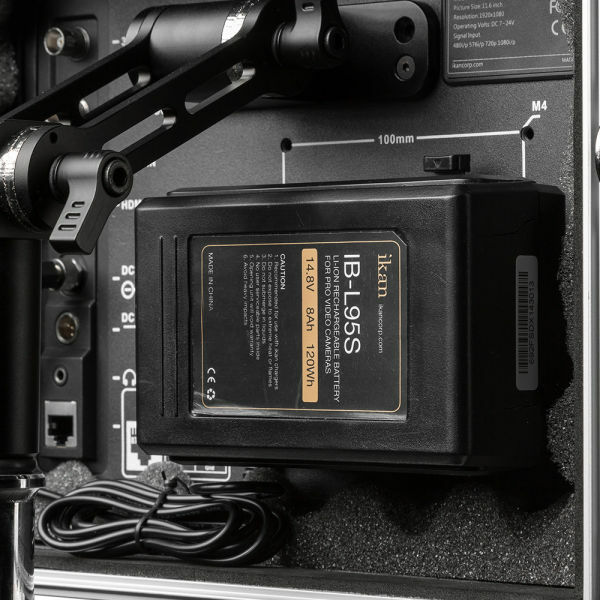 We also include a Gold Mount battery plate for more portable power options. 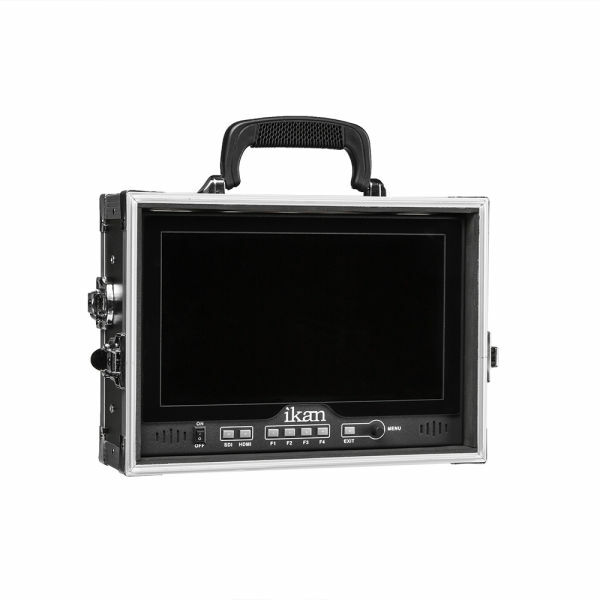 The heart of the field kit is the acclaimed D12 monitor. With its super-sharp, full HD panel you always get the best image. The panel also features IPS technology, ensuring the best viewing angles and true-to-life color reproduction. Dimensions: 10 x 13 x 7 in. Shipping Dimensions: 14 x 10 x 8 in.